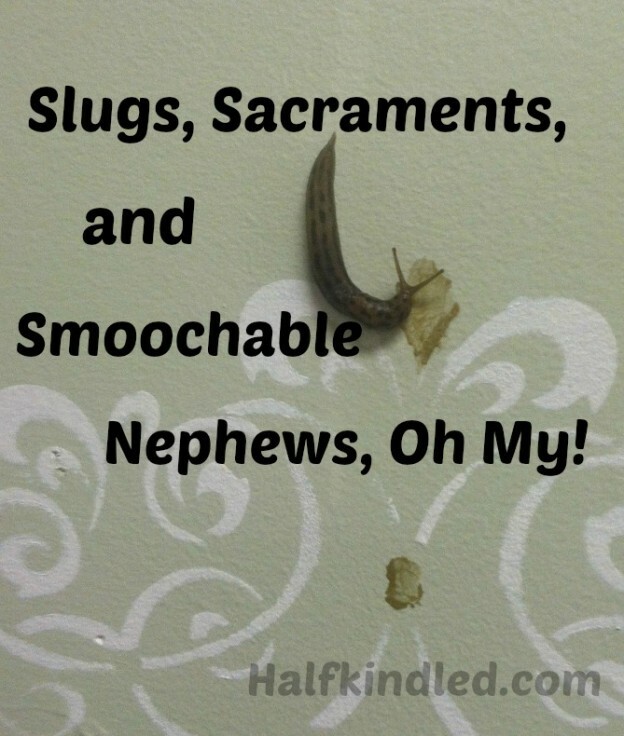 Slugs, Sacraments, and Smoochable Nephews, Oh My! This weeks post is made possible by the letter “S” which starts such words as Slugs, Sacraments and Smoochable. 1. My smoochable new nephew! He is a week old today. And has red hair! He is pretty much the cutest little thing. 2. Said nephew will be receiving the Sacrament of baptism this Sunday! We will be hosting the baptismal party. The church is getting a new little member, time to paaaartaaay. Anybody have any cool baptismal party tips to add to my growing repertoire? 3. This dovetails nicely with our School lesson for the week: B is for Baptism. We just started doing a little bit of pre-school with Sammy. I think he was bored and needing more intellectual stimulation. Now he looks forward to doing the lessons everyday. We are primarily using Catholic Icings curriculum, adding in a few things and dividing up the activities for throughout the week. 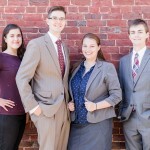 For this week: Monday we introduced the letter of the week and went through a grab bag of items that started with it. Tuesday we read about the Saint of the week, Bernadette, talked about the healing waters of Lourdes, and compared this to Baptism waters which heal us from sin. We were supposed to use some Lourdes water I had, but the kids were whacking each other with books so the lesson got cut short. Wednesday, we were supposed to talk about creation which is the current unit study he is working on and color a page from a creation coloring book. He wasn’t interested so we skipped it this week. He did do a little music lesson and learned about the key of C; he was super into the music lesson. 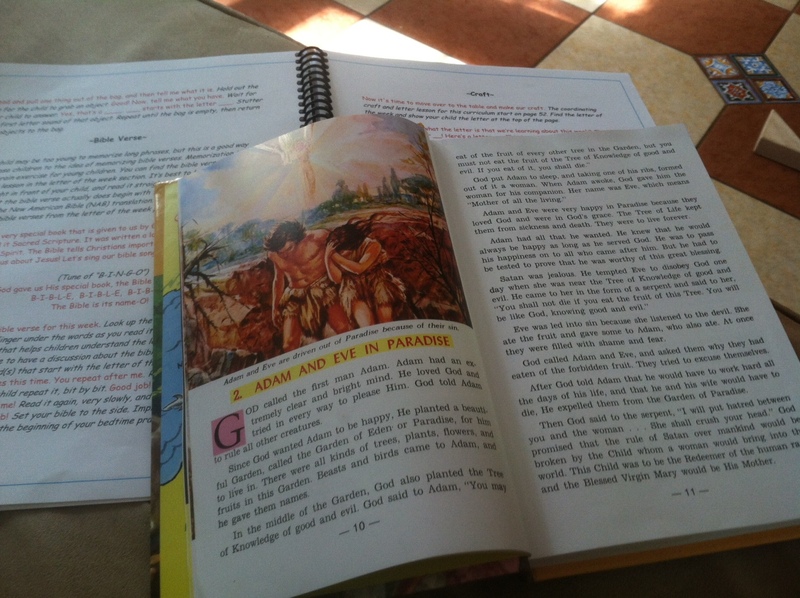 Thursday we read the Bible Verse for the week and were going to read the passage about the Baptism of Jesus, but he wasn’t interested so we skipped it and instead did the lesson I scheduled for today. That lesson involved looking at pictures of the baptism, holding baptismal candles, looking at the baptismal garments, etc. They both loved looking at the pictures, and Sammy asked many good questions about his baptism. In addition we use an online program called Reading Eggs for phonics. For all aspects of the schooling we do as much or as little as Sammy wants. 4. Instead of today’s lesson we took a social outing and went to the Children’s Museum in the town north of us. Most of it was geared to kids older than Sammy, but he found plenty of things to hold his interest. Ana had fun just wandering around taking in everything. 5. Sunsets are food for my soul. I caught one while popping outside to catch a little more vitamin D. I need to do that more often. Ignore the really poorly done stenciling, this one falls behind the dryer. They are mocking me, spreading their slime all over the laundry room wall I finished stenciling. But I will have my revenge. I found how they are getting in and responded by covering the opening in salt. St. Francis does not approve this message. 7. Surprises. In addition to being sponsored by the letter “S,” this post is brought to you by my husband, who has sent me to the office so that he may cook dinner for me. I have no idea what he has planned, but I know it is going to be sooo good. Seriously, when we got married, he taught me how to cook, not the other way around. I am very blessed. 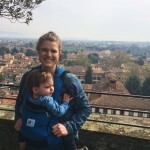 Linking up with Jen from Conversion Diary for Seven Quick Takes! What are you all up to this weekend? Are you homeschooling any toddlers? 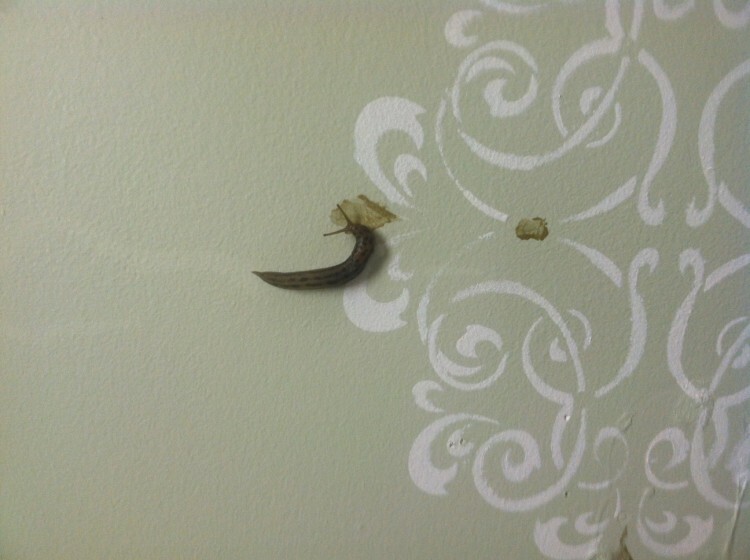 Being tormented by slugs? Do you agree that smoochable should be a word? Tell me about it in the comments! This entry was posted in Ramblings and tagged 7 Quick Takes, Homeschooling on October 10, 2014 by Katherine. Oh man, we have so many slugs and snails in our yard. I haven’t noticed many (any?) in the house yet. But seriously they are alllllll over outside. I sprinkle snail killer pellets around my flowers from time to time but it doesn’t seem to do much good.